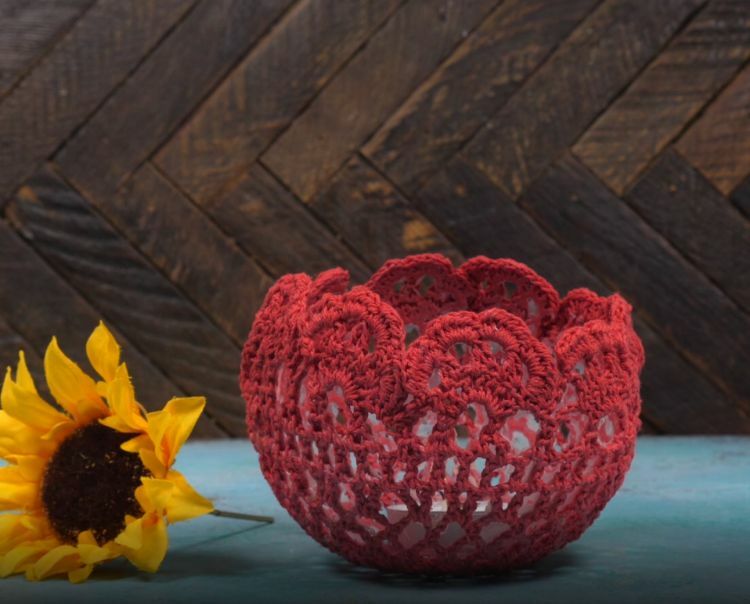 You might associate doilies more with your grandma's style than your own, but these lace beauties can be used to make all sorts of gorgeous, contemporary pieces of home decor, clothing and more. 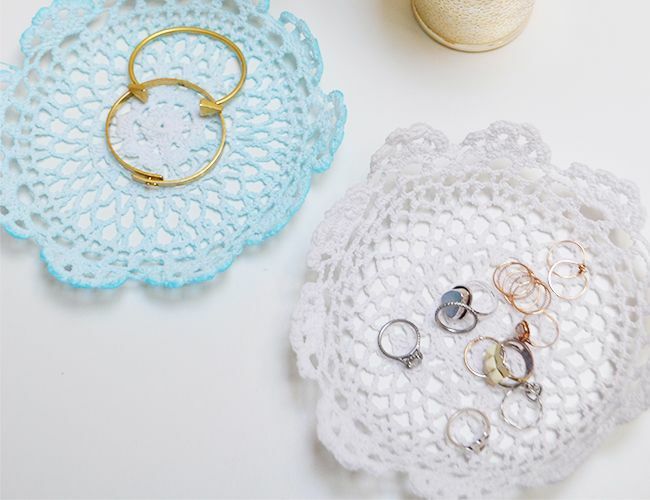 Lots of people have doilies hidden away in their cupboards and closets, but even if they don't, they're easy to find at the thrift store. Stock up because you're about to learn some amazing ways to put them to use. This beautiful candle holder is so delicate and feminine, you'll fall in love with it the moment you see it. 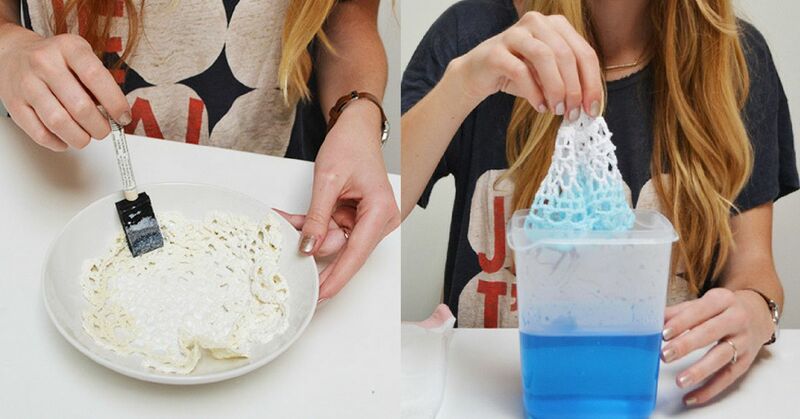 This tutorial will show you how to make your own version. Looking for an elegant centerpiece? 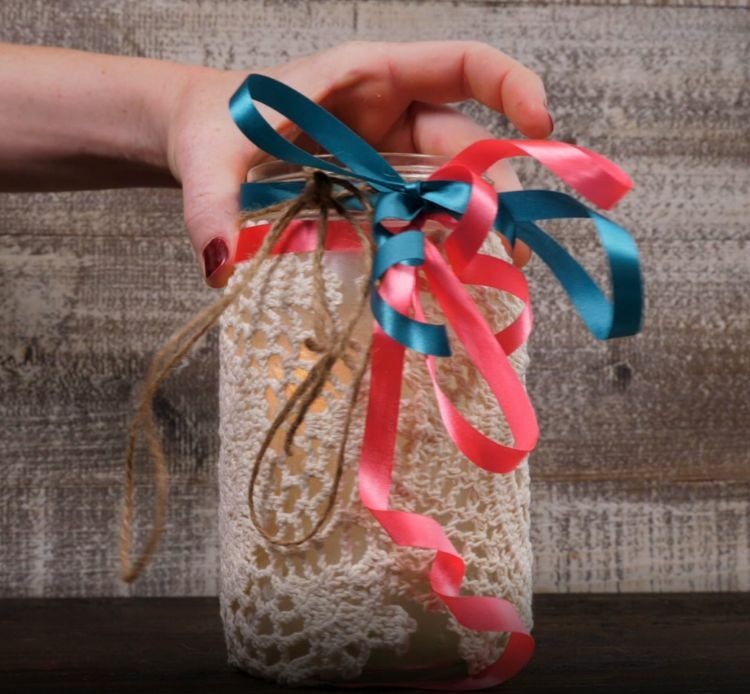 This tutorial demonstrates how to upcycle both doilies and old glass jars to make a delightful decor item. 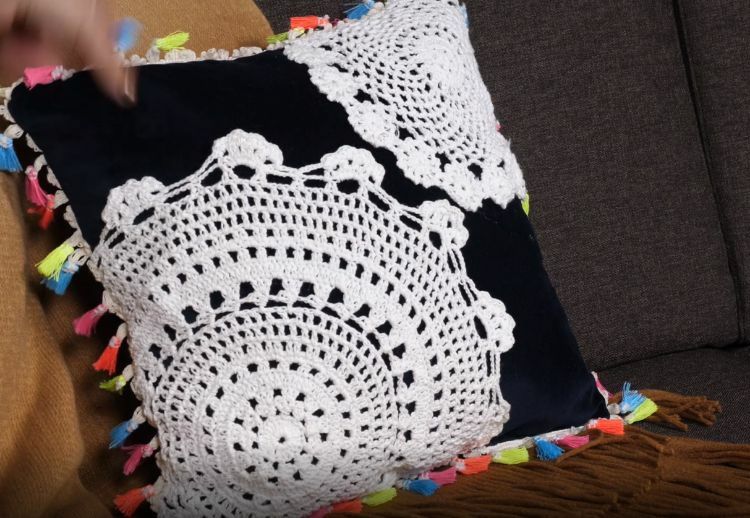 This pillow is a great way to use up extra doilies. The project requires some sewing skills, but the results are well worth it. Check out the tutorial for the full process. This lace-back T-shirts and tanks project is another one that requires some sewing ability, but it's a way to breathe new life into an old shirt that you never wear. Check out the tutorial. 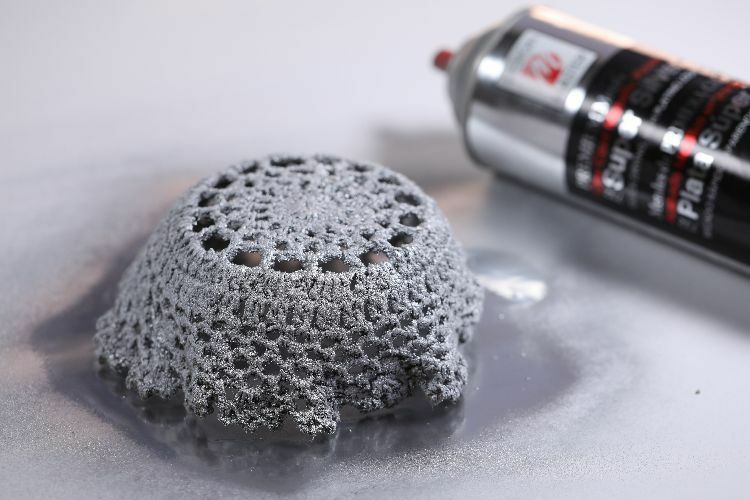 Try out this interesting technique on doilies to give them a different look. Get the full tutorial here. This table runner is the perfect blend of vintage and modern. 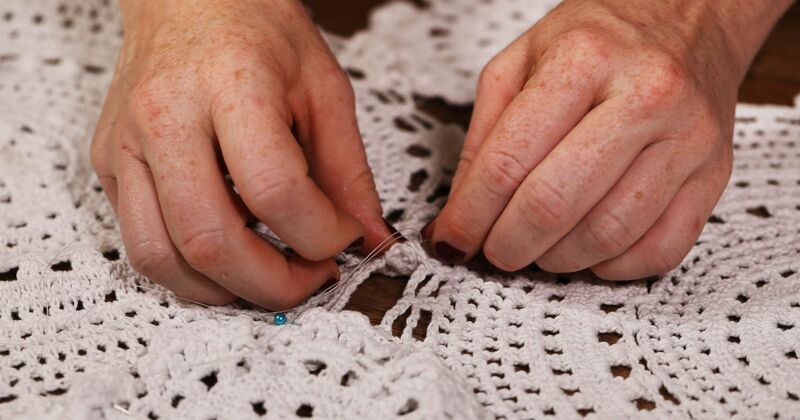 The example from the video below was gently sewn together, so this is a great project if you want to be able to use the doilies for something else down the road. 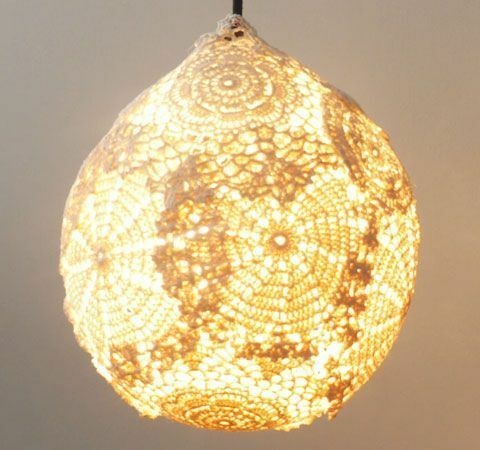 There's something so beautiful about incorporating doilies into your lighting. 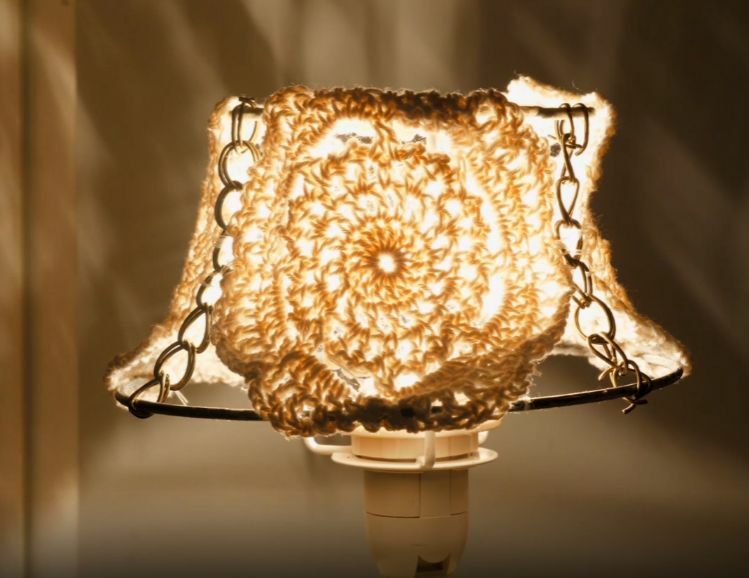 This lamp cover was made with several different doilies, but you could also get stunning results by using one large doily. Get the full tutorial here. This is such an awesome way to freshen up an old lamp. A doily lamp shade would look especially lovely with a vintage lamp base, so you should be able to find something at the thrift store that would work. Check out the video for inspiration. 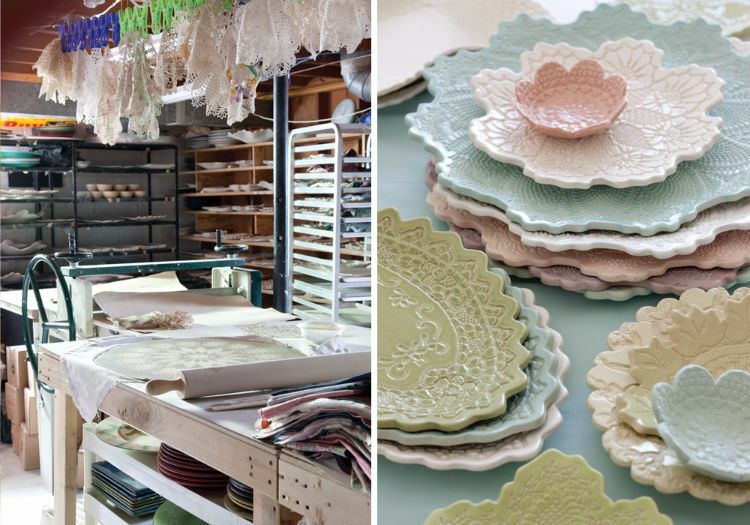 Doilies can even be incorporated into pottery. These delicate little bowls could hold soap, jewelry or dip, to name a few options. You can learn more about the process at Bliss Victoria. 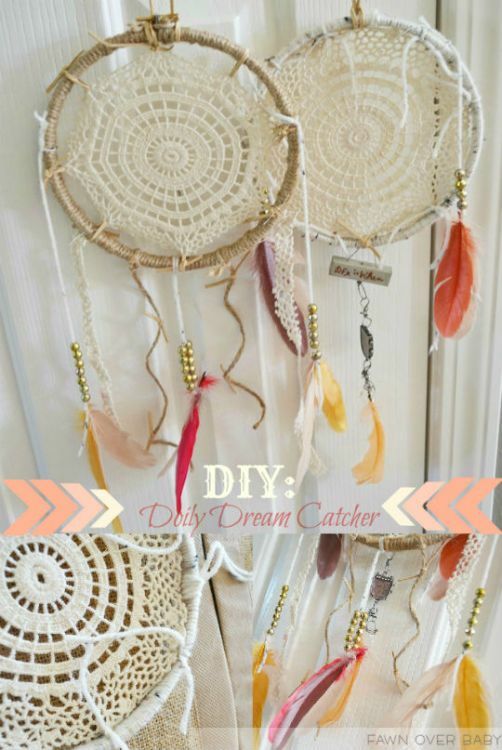 This is such a lovely, feminine twist on the typical dreamcatcher design. It's also easier to make because the intricate webbed center is already made for you. See how it's done here. 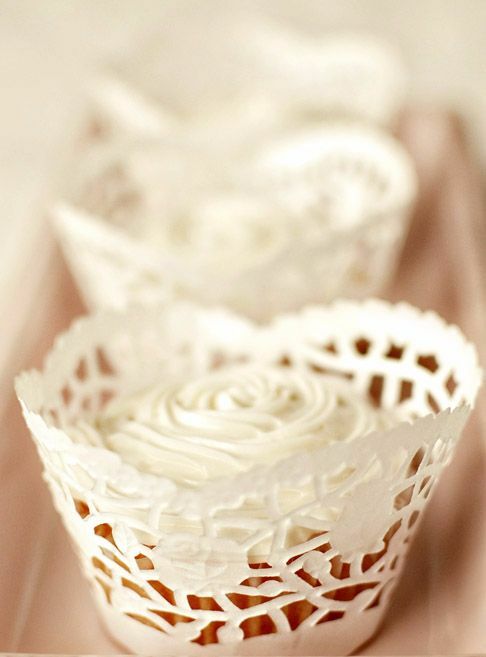 These dainty little cupcake wrappers would be so great for everything from weddings to baby showers, and you won't believe how simple they are to make. Find a tutorial and a template here. If your sewing skills aren't up to the challenge of making the lace-back tank mentioned earlier, you can still incorporate doilies into your wardrobe by using them as stencils. This is a very easy project; can find out more here. 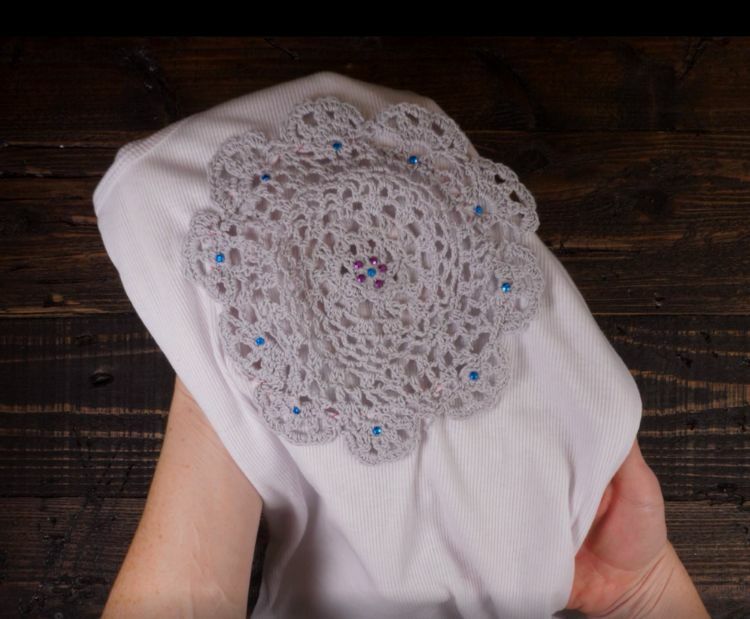 This project uses both doilies and any pretty scraps of fabric you might have. 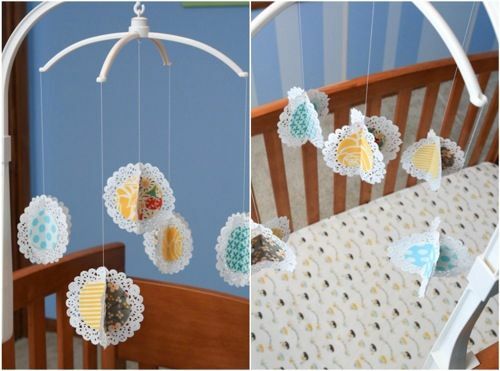 Erin from Lemon Tree Creations used the technique to make a baby mobile, but it could become a cute decorative piece in a different part of your home. This tutorial will show you how to make these cute doily bowls with Mod Podge. If you don't have any, you can also use a mixture of equal parts of white glue and water. 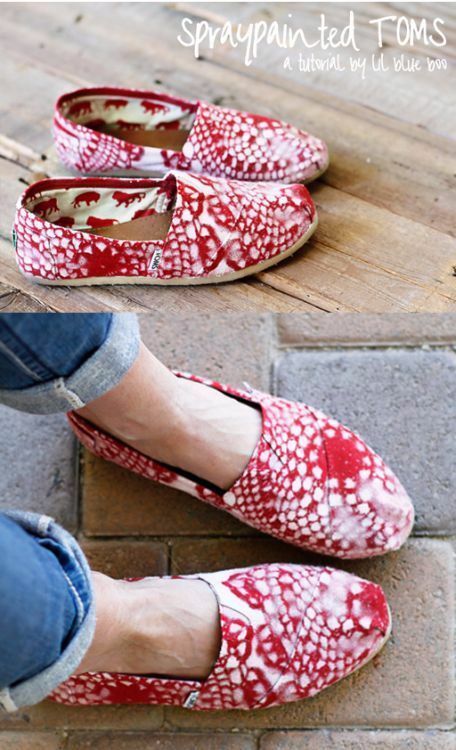 Do you have a pair of old shoes that need an upgrade? Everyone will want to know where you got them. 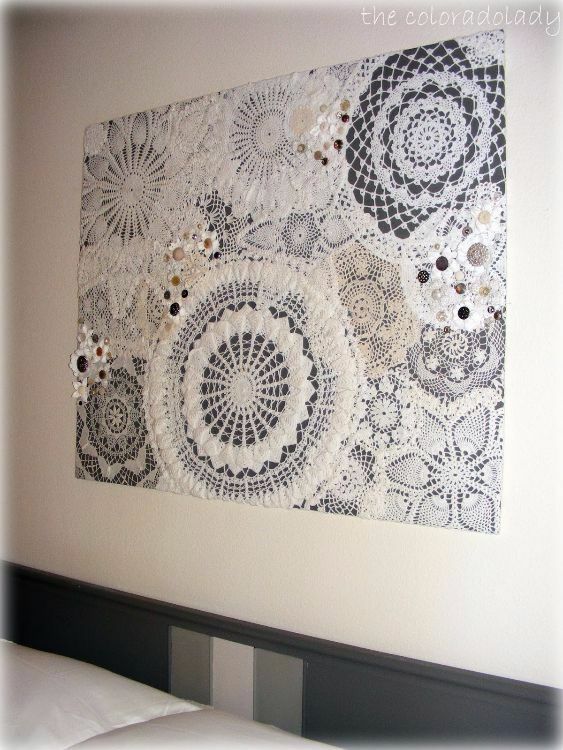 The piece of doily wall art is definitely eye-catching. None of the doilies used here match, but they all go together really well. Bonus points if you make little flowers out of doilies and buttons. A hot glue gun is a must-have in any crafter's house.These projects prove why. There isn't a cuter holiday decor piece than this one! Yellow pompons and adorable faces make the chicks that adorn this garland irresistible.